DASCA offers two of the most prestigious international credentials for Data Scientists today. Ideal for senior professionals already working as Big Data Analysts, these credentials are also great career-shaper qualifications for experienced and accomplished market researchers and marketing experts. Big Data. Bigger Promise. Biggest Credentials. Founded on the world&apos;s first, most robust generic Data Science knowledge framework – the DASCA-EKF™ – DASCA Certifications validate and test credential–holders in over 30 profession–critical knowledge vectors along the five DASCA-EKF™ knowledge–essentials prongs. Nothing else adds a bigger, most international edge to the employability of professionals for this flagship industry that needs 5 million workers in 2017 alone. Because getting the finest Data Science jobs, or growing in Big Data career today requires assuring employers about your capabilities, promise, and potential of being a super professional. And nothing can do this job better than your DASCA Credential! DASCA tests individuals along the world's most robust generic Data Science knowledge framework – the DASCA-EKF™ to validate their knowledge in 30 profession–critical dimensions, before awarding its certification. And that's how an ABDA™, ABDE™, SBDA™, SBDE™, SDS™, and PDS™ can lend the sharpest competitive edge to your employability and growth. Trust us, it’s really time to start-off your quest for earning a DASCA Credential! DASCA Certifications for Big Data Engineers, Big Data Analysts, and Data Scientists are the world's most powerful independent professional credentials today. Founded on the first platform-independent and the most robust Data Science knowledge standards-framework currently in practice internationally, these credentials validate most convincingly for your employers that your education, training, and knowledge make you a high-potential Data Scientist, Analyst, Engineer, or Developer. 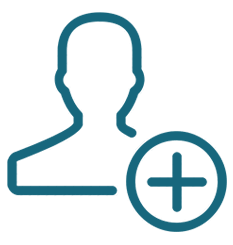 As a DASCA Credential holder, you join the rarified global league of high-potential Data Science experts. An international Data Science qualification on top of a technology or a business degree or a major not only makes career-starters and graduating students at least 70% more attractive for employers; but also makes it easier for practicing Data Science professionals rise faster; or switching to better jobs much easier. That’s the DASCA-CredForce conclusion out of its study in early 2017. This may really be the best time to get DASCA-certified and stake your claim for riding the gigantic Big Data wave! CredRadar studies conducted by CredForce estimate that as many as 5 million new positions in Data Science functions are expected to open up by 2020. With a spate of business and technology changes in organizations around the world, Data Science and Big Data is rapidly bolstering and beefing itself up with Data Science capabilities. DASCA studies over the years have clearly indicated that on an average, Data Science professionals formally qualified in Data Science command compensation 40% - 50% higher more than their non-certified compatriots. Data Science professionals with exposure to Data Science have already become pricier than their counterparts with plain vanilla Data Science and Big Data exposures and experience. A DASCA international credential can serve to add a double whammy! More than 78% of CTOs in a DASCA study on Data Science & Big Data talent crunch contended that Data Science professionals with international credentials in Data Science like those of DASCA are their best bets for building future-confident, inventive organizations. The rigor of DASCA credentialing standards and the rich, tested expanse of the DASCA knowledge framework together ensure that DASCA-credentialed individuals are truly the best-of-breed professionals around – and hence the most suited for the most challenging of roles and responsibilities in Data Science, Big Data development or analytics. There really was never a better time to get DASCA-certified! A DASCA Credential on your resume assures employers about your above-the-cut promise and potential as an above-par Big Data Analyst, Engineer, or Scientist. Being able to lead Data Science challenges across industry verticals and economy sectors is among the most sought-after capabilities of top-bracket Data Science professionals. And that’s exactly what DASCA Credentials powerfully validate about you. The DASCA Data Science models, frameworks, knowledge bodies, and credentialing mechanisms are designed with the aim of making the Data Science function, knowledge, and indeed Data Science professionals future-ready. That’s proof enough how a DASCA Credential can make your own career too, downturn-resistant; future-friendly. Sign into the DASCA QualiFLY™ right today! You can acquire a DASCA Big Data Analyst and Big Data Engineer Certifications faster, easier, and more affordably. What Big Data Knowledge do you need to excel? Joining the league of the world's finest Big Data Analysts/Engineers or Data Scientists starts with knowing what you should certainly know! We've got six international certification programs along three credential–tracks for the hottest of professions today–Big Data Analysts; Big Data Engineers; and Data Scientists. Go ahead and find out which of these work best for you. "Eager to tame and harness Big Data, the Data Science space is expanding like our universe is, only a little more ferociously. And this keeps blurring the boundaries among the various jobs and professions in the space all the time. Via the DASCA-EKF™, we're trying to fix perhaps the most irritating of the gaps that passionate and sincere Data Science professionals and the quality–fussy recruiters, both experience. – What all should Data Science geeks really know to keep excelling in their jobs and roles? 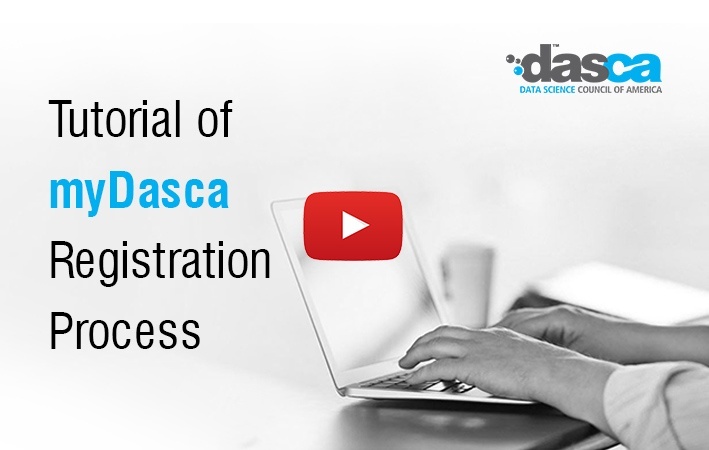 What has really brought big smiles on Big Data experts connected to DASCA is the fact that we've kept the framework smartly generic." The Stunning DASCA Credential Packs! All individuals who pass the exams and pre-requisites for DASCA Big Data Analyst; Big Data Engineer; and Data Scientist Certifications are awarded their certificates in exclusively designed credential cases. These cases contain printed certificates, designation pins, and copies of the Code of Ethics booklets – designed to forever make you feel proud of holding a well-earned DASCA Credential. DASCA Credentials come digitally-badged, just as the qualifications and certifications of most other great institutions do. Ensuring you can spread a word out about your achievement swift on the internet, and showcase your DASCA Credential on your digital profiles everywhere – all in real time, simultaneously, anywhere, anytime! The world has become digital, and it’s only logical that the world’s finest Data Science Certifications should also have the digital stamp on them. After all, the quality of our presence in the virtual space will define how effectively we'll grow in the Data Science profession and create an impact on employers. Digital badging is the best, fastest, and the most impressive way to showcase digitally, your credentials, your accomplishments, your interests, your passions, your skills on the web. Your online presence adds that strong dash of credibility for your Data Science capabilities. You can earn digital credentials and nanodegrees through digital learning from institutions who’ve embraced digital badging. It's a spanking new way to learn toward, earn, and brandish the special in you. DASCA joins the select few institutions including a few ivy-league ones who are now on a digital badging platform. To know more about this, write into us. An Exciting career in Big Data Analyst with confidence! Into a top-of-the-line Big Data Analyst fastest & surest! Your class and Data Science leadership worldwide with flair! The practice & future of Data Science leadership in the 21st century!